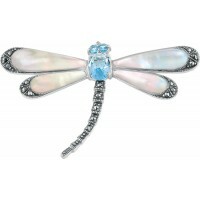 With the rise of Art Nouveau so to came focus on natural beauty; its flickering colours & almost mystical easel and brush painting truly wondrous creatures & dramatic forms to create a backdrop for the world! 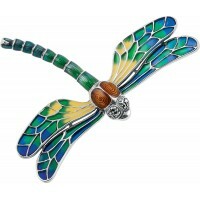 "I would see such amazing and visually stunning designs produced by the artisan jewellers of the time, that in fact, in this instance, it was the jewellery that lead me to understand nature better and not the other way round, which is so often the case." 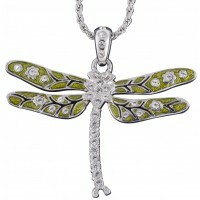 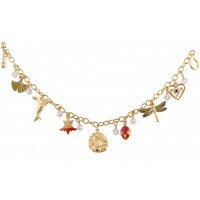 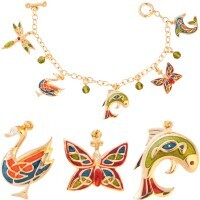 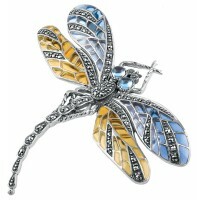 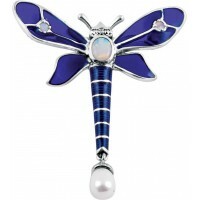 JNK29 Rhodium Plated Metal Alloy and Austrian Crystal Dragonfly Pendant on Chain Jewelari of ..